The Nordstrom sale is still going and will be for a few more weeks. 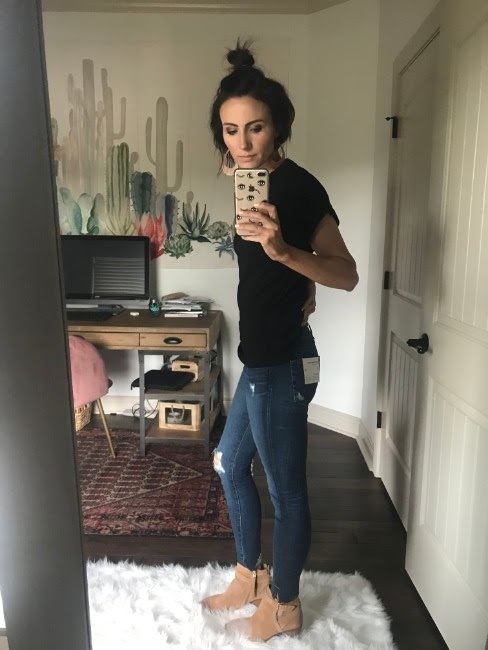 I promised to share some denim try-ons from the sale and so today's post is here to do just that! 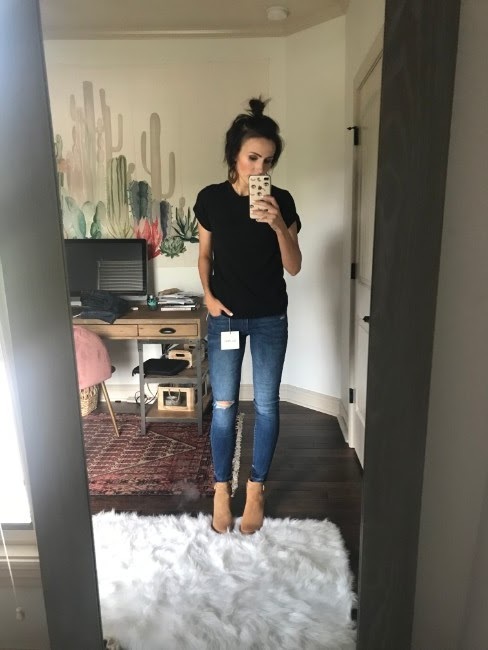 Designer denim typically comes at a price point that is hard to swallow, especially if you've never looked past the GAP or Target for your jeans. But I promise, it's worth your time during this sale. 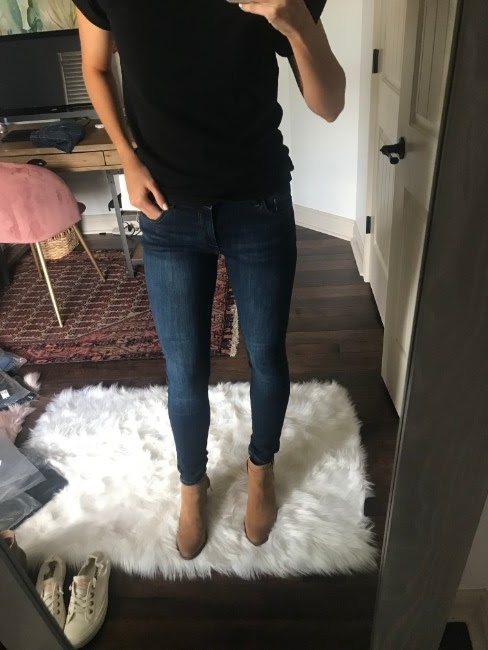 I can't say that all jeans over $100 really deliver, but some really, really do! 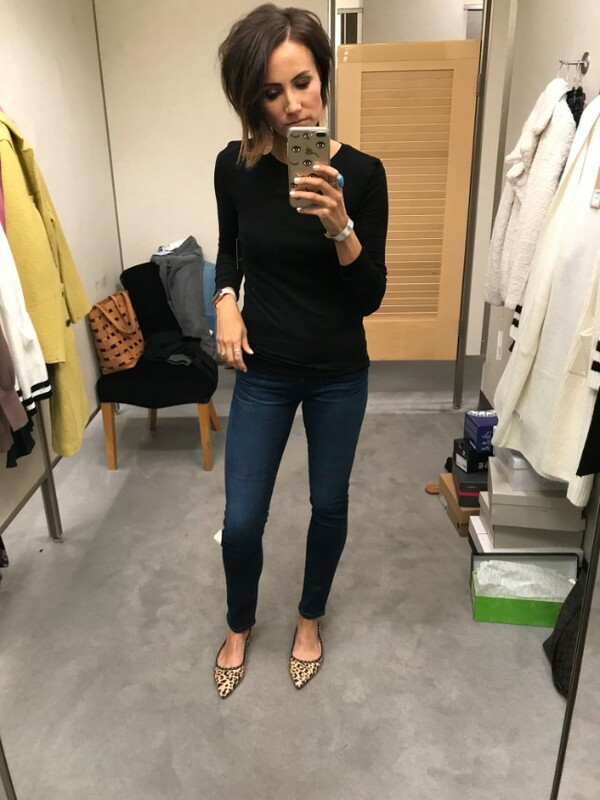 Once you have tried on jeans that actually hug you and pull you in in all of the right places, you won't want to go back. 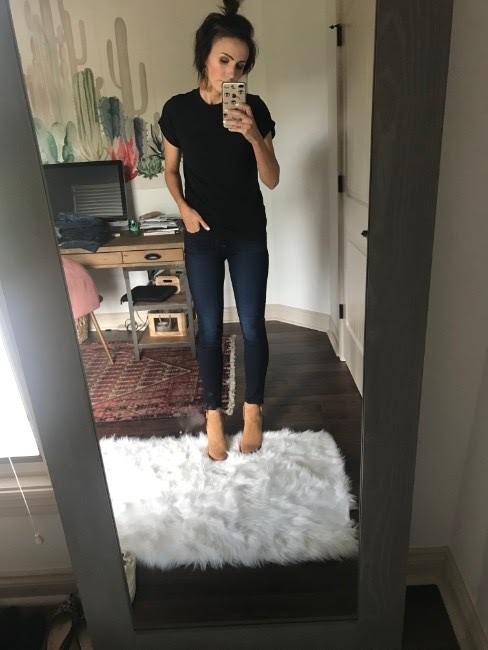 I bought my first pair of Rag and Bone jeans a few years ago during this sale and they were one of my favorite things to wear for at least the next year. I wore them several times a week and I felt like a million bucks every time I did. 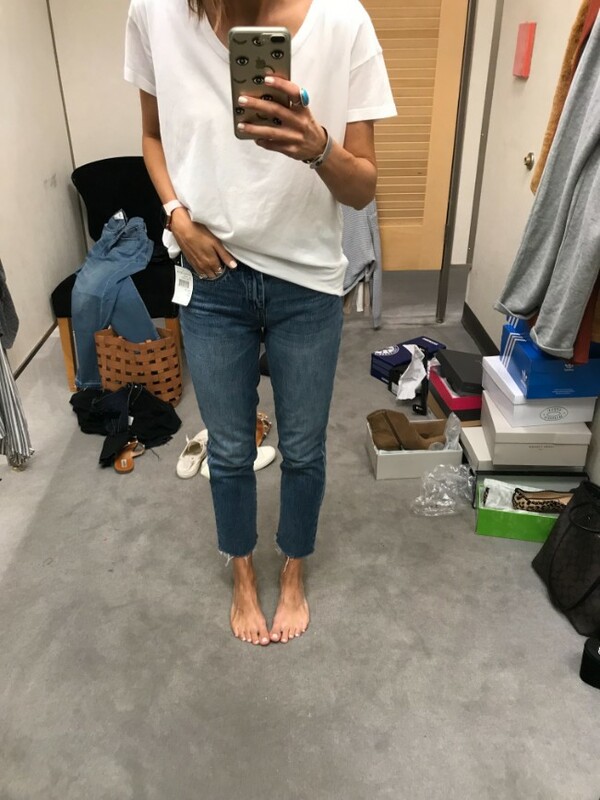 Jeans are one item that I really do think you can use the "cost per wear" argument and get away with it. I literally wear jeans every day. And if you can't wear them to work, I bet you still wear them a few times a week. 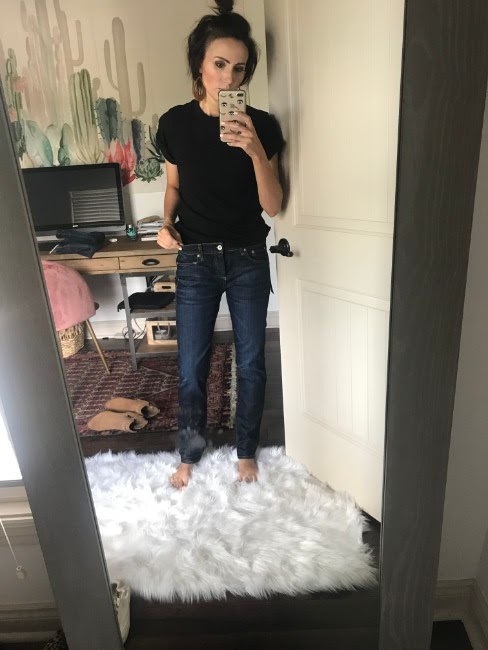 I know $100-$200 for a pair of jeans is a lot, and it's not in everyone's budget, but I have thrown out so many $25 pairs of jeans after they have stretched out, faded or just stopped looking good. And I bet you have too! So even if you can only get a pair for your birthday or Christmas, I'd say it's worth trying some on, so you know what you like and what I mean! Many of these may be sold out, but keep checking because as returns come in, they will restock in small quantities. And after the sale they may restock at full price. For reference I am 5'7" and 120 lbs. I typically wear size 2 or 26 in jeans. These are the darling of this sale. Everyone loves them. 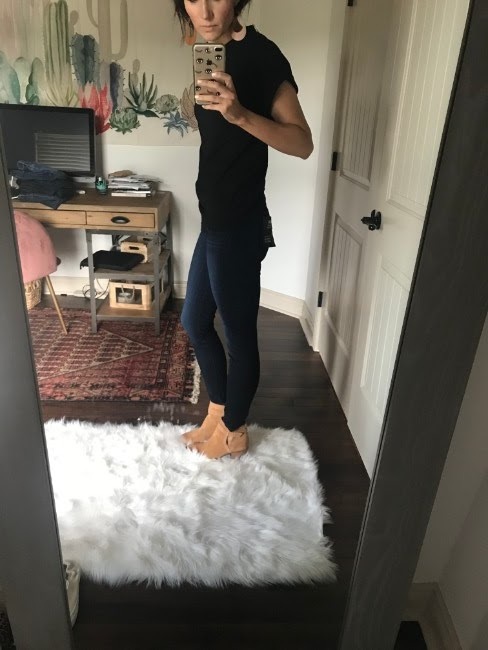 They fit and feel amazing. Plenty of stretch and hug. They don't stretch out. 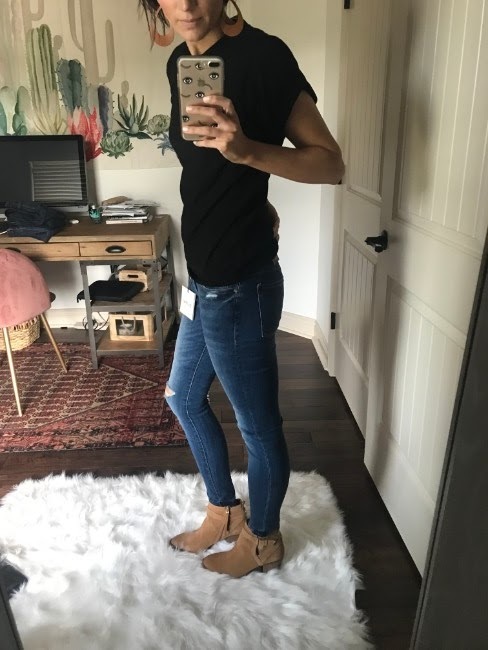 These are comparable to the AG jeans above, but are cheaper (and I kinda like them better!). They are a little thicker and I love the wash. They are really flattering. These fit the same as the pair above, but they are a little darker and have no distressing. I also loved these. I love Rag and Bone, but these were ridiculous. They fit so big! The model has hers cuffed, but that wouldn't have helped me! These fit and felt good. I'd give them a B+. Paige denim tends to stretch out on me though and I didn't wear these long enough to find out. They felt great out of the box. This was my first time trying Frame denim, and I really liked them. 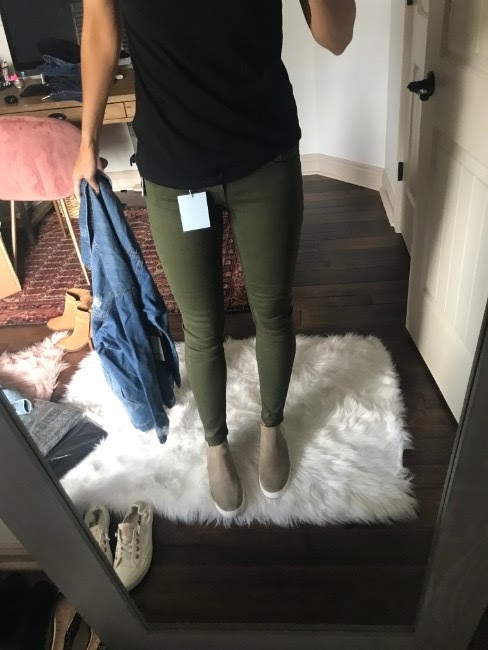 I bought the gray pair and the olive were very nice as well. Super huggy in good ways and they didn't stretch out on me. 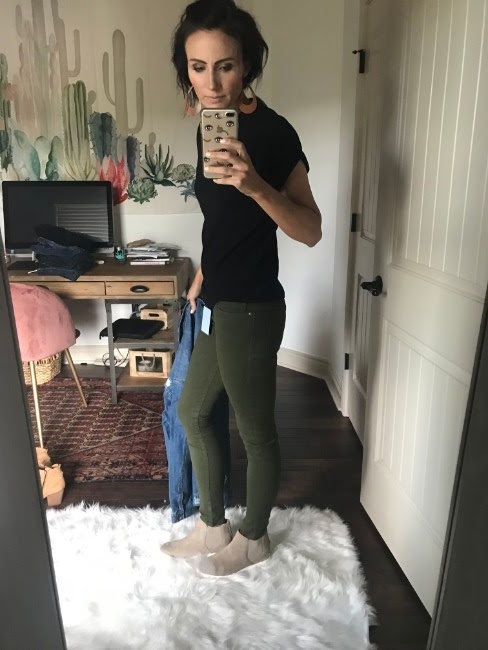 I initially wasn't too impressed with these jeans, but Soren saw this pic and told me they were great. :) They have a cigarette leg and are a little longer than I like. They did fit TTS. I'm wearing a size 26. Rag and Bone is one of my faves every year. 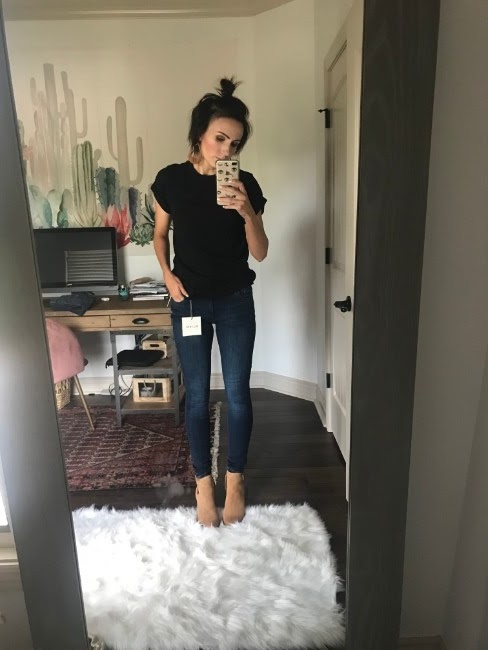 These are black skinnies that do fit a little small, so you could size up. These will not stretch out or fade. 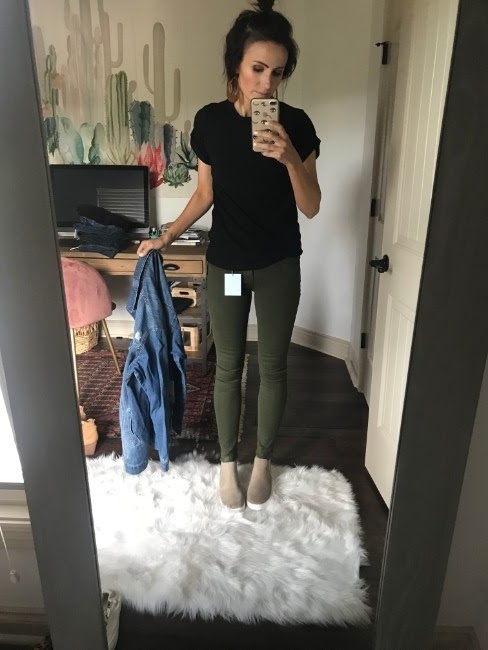 These are a great gray jean. 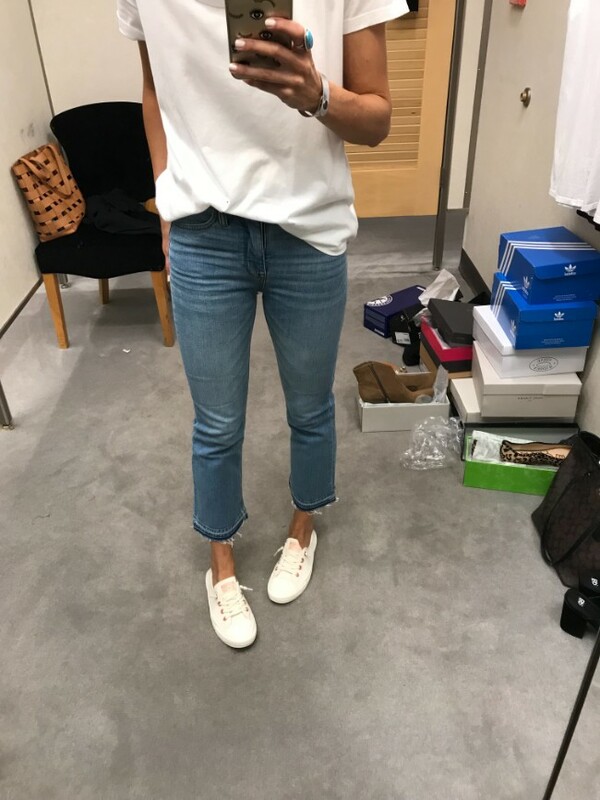 They hit at a true ankle length and the wash is really flattering. I sized down because they didn't have a 26. I'd recommend your normal size. These fit really well. 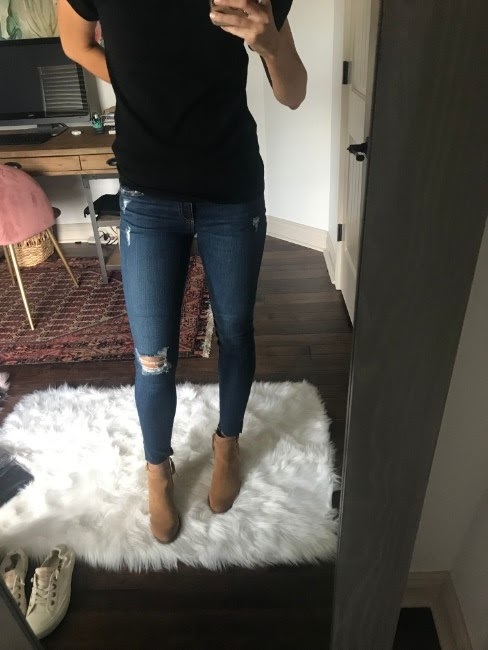 Unlike most demi boot crop jeans, these don't make you look short. 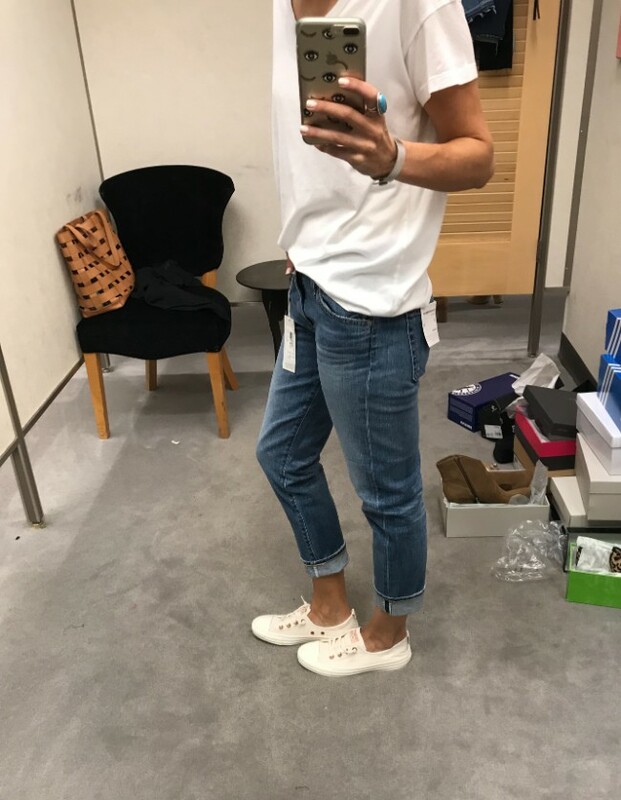 They fit true to size and are a good casual jean. 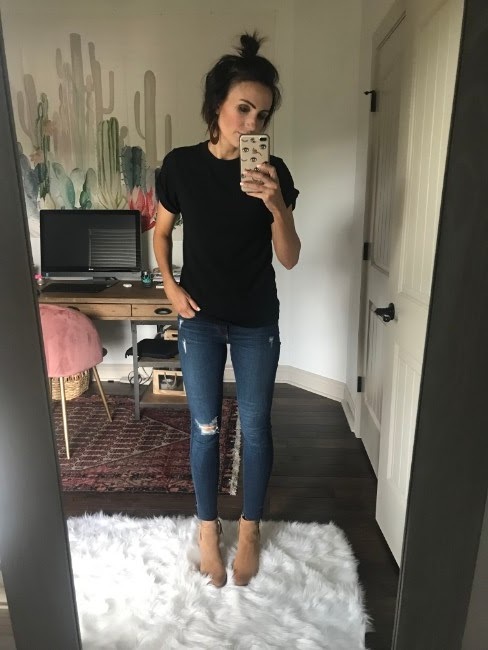 Wearing size: 25 These jeans are a cute boyfriend variation. They fit a little big and may stretch out. Wearing size: 26 These are great! I love the style and the price point! 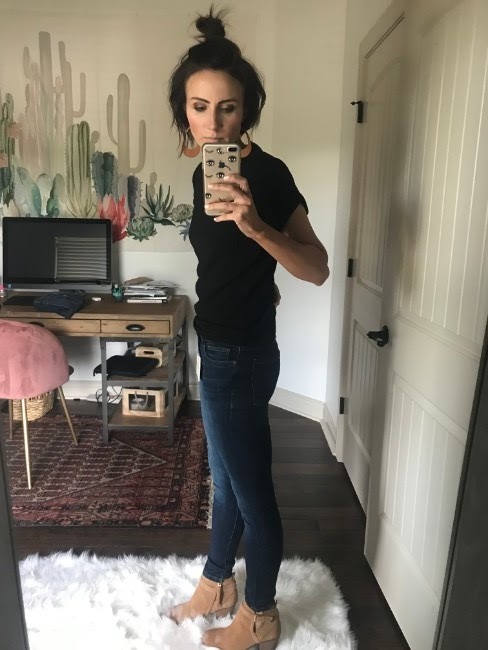 For a high-waisted jean theses are not mom jeans. They fit TTS and are only $59. 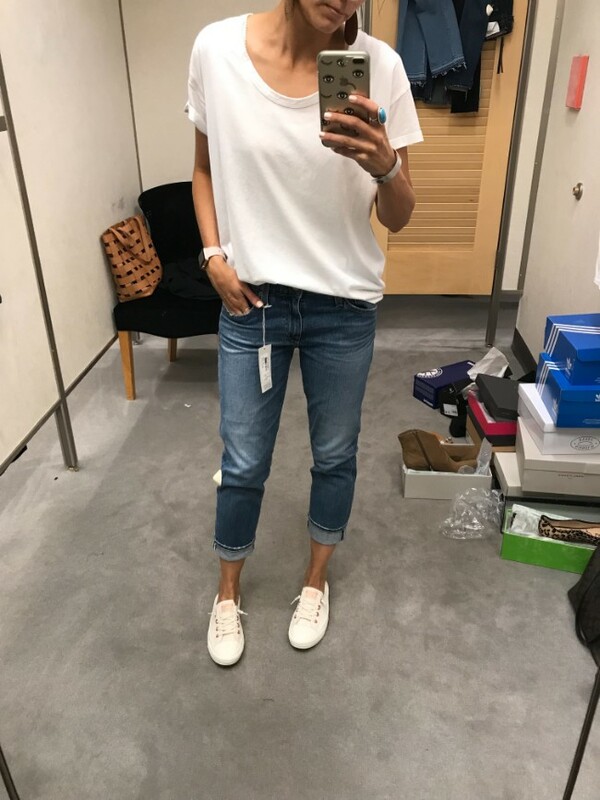 Here are my jean picks from the sale. Did you pick up any new jeans during this sale? What pair are you loving? 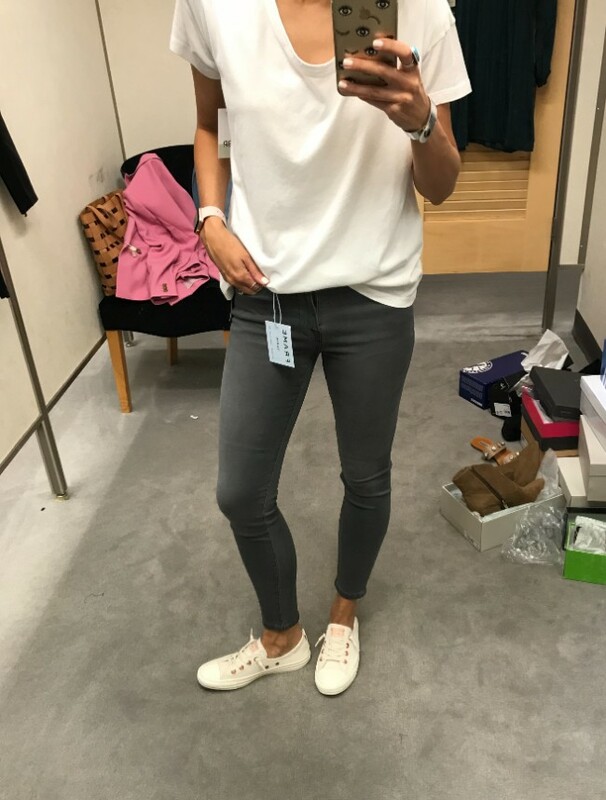 Finding jeans that fit just right is the BEST feeling! Great picks!